The Almost Paradise Bridge project involved preserving and rehabilitating the original bridge with steel girders and replacing and reinforcing the concrete center pier and abutments. 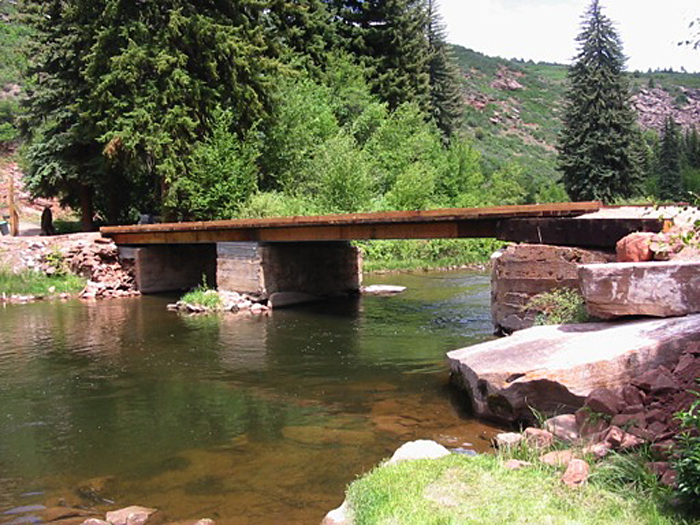 The bridge goes over the Frying Pan River to a private residence. Western Wood Structures provided the Super Structure and PSI set the bridge after reinforcement.